If you’re writing content for marketing purposes and dumping it all on your blog, you’re doing your potential customers, your organic traffic, your lead generation, and therefore your business a major disservice. Over the last few years I’ve written about 400,000 words on Credo, between almost weekly (sometimes twice weekly) blog posts and our longer guides of which there are five. I started blogging in 2001, and early on built a pretty well followed (and linked to via blogrolls) blog on a specific niche. Back then, blogging was a) personal and b) transactional. Someone would write a post that was time stamped, and then someone else would reply, and so on. These were conversations in motion. And they had a start and an end, all based on content published. But then “blogging for business” took over, and with Google’s current bent towards completeness of content (which often lends itself to longer pieces) many businesses and “content marketers” are currently over-indexing on long content. But I wonder if by doing this we are going too far and doing a disservice to our customers/audiences in the process? Blogs used to be updated often, even a few times a day. But if we’re writing posts that are multiple thousands of words, a) who has time to write all of that and b) who has time to read all of that?? Blogging is, therefore, broken. People who read blogs/articles were taught at first to visit them all the time. I remember subscribing to so many sites via RSS and would read 20-25 articles per day. But now, you rarely find new content on a blog more than a couple of times per week, and those reading also don’t have time for that. I save all interesting looking posts to Pocket, and let me assure you that I am never getting through that 2,000+ article queue. To go with this, there have been posts over the last few years about content pruning. The idea is that we are drowning in content, so when you eliminate the stuff that no one is reading you see a boost in organic traffic, rank better for the on-topic posts, and your engagement metrics and leads go up because you are not overwhelming them with “more” content. So, what’s the way forward? I’m going to make a few suggestions. And think about it from your potential customer’s perspective. Note that I’m not saying “a user” or “site visitor”, and that’s because those people don’t usually pay you. But when we talk about them as a “customer” or “potential customer”, that means that if you do things right you’ll have a higher conversion rate which leads to more revenue and hopefully a more profitable and successful business. If you’re creating content for marketing, you need to be thinking of your potential and current customer first. What are their needs? What are their problems? What are their questions? What are their objections? We forget about the “market” part of “marketing.” We talk about “links” or “keyword research” without asking why the heck we are getting or doing those things. If you’re a content marketer, you must be considering how the content you produce gets your potential customer closer to becoming a paying customer. Full stop, that is your job. Your job is to guide them with content from the top of the funnel into the middle of the funnel and ultimately to the bottom of the funnel where they buy and then you give them an incredible experience after that. And by putting all of your content on your blog and intermixing it all you are doing them, and therefore your business, a major disservice. 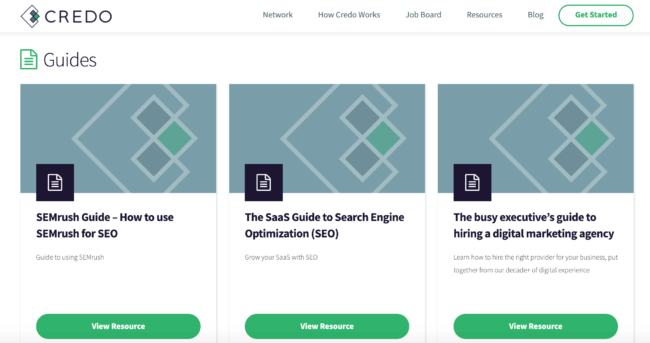 You may also find that if you have multiple audiences (such as on Credo, in-house people and also agencies and professional marketers), you need separate sections for that content too! And it can be organized in many ways, some that require quite a bit of work and others that do not. We’ll get into those at the bottom. When working with larger websites, there’s a concept known as siloing which helps you organize the site so that it is easier for customers (and search engines) to crawl. You can track traffic and more in GA dashboards more easily this way to know how your different site sections are performing. You can literally filter easily by categories, subcategories, product/profile pages, whatever is on your site by doing this. It’s a huge data transparency win. Through this better information architecture and building them out with the metadata you have on your products/services/whatever, we’ve found that it is easier to link internally, easier to find what you are looking for, and therefore better for traffic and business. If you agree with (or can intellectually get to) the above two points, then hopefully you agree that company updates (or any time bound content) does not belong in the same section as your top/middle/bottom of funnel content. This content belongs in a separate section. It doesn’t have to be keyword optimized. That’s right: you can write content that is not supposed to rank for anything. And, we need to get back to communicating better with our customers like this. So here are my suggestions. I’m sure there are things I’ve not considered here, but I’m painting them in broad strokes that you can then take and tweak for your own business. First, all content should have a Published date on them and be relatively date bound. They should also have a “Date Updated” so that people know if you’ve gone back and edited after the fact. But this should be the exception for blog posts/company updates, and the blog should be for announcements and company updates only. It’s a friggin corporate blog, after all. Second, non-update content that you’re investing in as a marketing channel should live in a separate subfolder/section found at a place like /resources/ or /articles/. Some themes make this easy with a “blog” template that can be named something else and doesn’t have to be at /blog/ (this realization has blown many a person’s mind), whereas others need a custom post type (WordPress) or more custom work. On Credo we’ve done a mix of this. When we launched our new site in November 2018 we created a /guide/ section where our larger guides live. On our old site we had some of them under /resources/ and others without a subfolder. We still have /resources/ to highlight all the things we’ve produced (guides, tools, etc) and as of recently a /guide/ page, but we’ve segmented content out and away from /blog/. I have recently also gone back and made some changes to our company updates and announcements to make it clear that they are this. I’ve not also included dates in the URLs because of some technical challenges to that and the fact that solving those isn’t the best use of our time, but if I was doing this site from scratch I would do that. And third, consider how you organize your content. One thing I’ve considered doing is using Categories to organize content into topics, but then using Tags behind the scenes (not indexed, not in sitemaps, not linked to from anywhere) to organize it for display purposes. Think about it – I could tag content with personas like “pro” or “business”, or I could even tag it with “business” and “bottom of funnel” to further filter it down. I could then build a specific page that just displays that content. Tags are just metadata. You don’t have to display them publicly. No one will know. Good. Let’s take it to the next level then. You can do a lot of this without making major changes to your site. In fact, I think you can get about 80% of the way there relatively easily with NBED changes. This advice is for WordPress specifically, but you can take the concepts and apply them to any platform. First, make sure you have a category or tag specifically for Updates or Announcements. I’d personally use a Company category with Updates and Announcements as subcategories. Then, add all your legacy announcements etc to that category. Remove them from any others if you do not want them to show on your main blog list of articles. You input your category number above where you see NBED. You need to keep the – in front of it, as otherwise that category’s posts are the ONLY ones that will show up. Be sure to test this on your staging site before implementing it in production! Now go to your blog homepage and see that those posts within the Company category cannot he found in the Posts list. Now you need to also create a Company Blog index page (whatever name and URL you want) and link to that as well. If you’ve done the above and you want to take it further, you can continue to segment out your content into types (guides, ebooks, etc) and create dedicated pages for those so that they can be more easily found/indexed and ranked. And of course, this is all meant to improve your conversions. Now comes the custom work according to your market and customers. I can’t prescribe from here, but this is where you decide how to better organize your content. 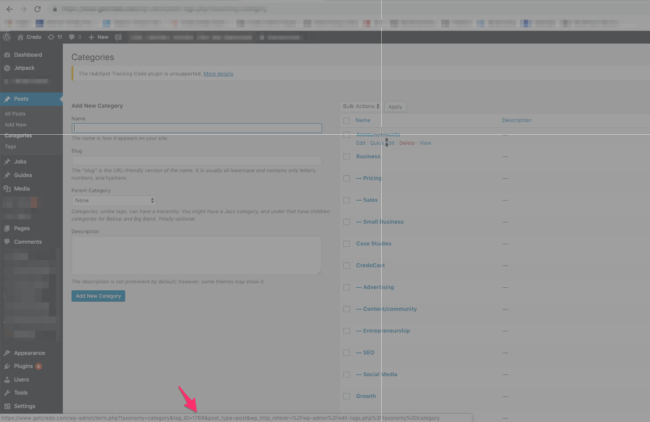 If you decide to do this, you can use the Post Type Switcher plugin to make your job easier. Organize your content into themes that you can then link to from your sidebar conditionally according to the type of content your customer is on. So what do you think? Is my proposal fair? What have I overlooked?